Serapi brand is identical yet unique in focusing different culture representation of Nusantara (South China Sea) culture, Nusantara – part of ancient “Silk Road”, meeting points of countries around the world for centuries. Having living and exposed to multiple cultures over long periods of time, Nusantara have been labelled as one of the richest culture region that the world can offer. This very culture Serapi embrace and present it through our food offerings. 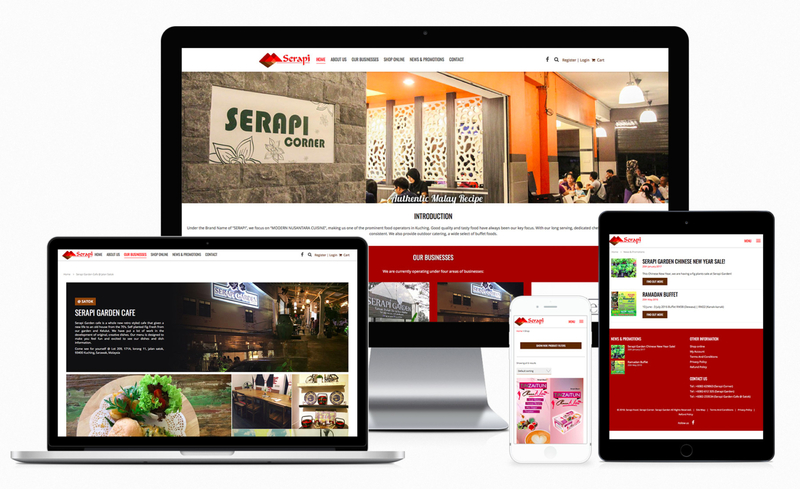 Combine their subsidiaries, businesses into one website, all under one brand, and present it with the modern layout design, with functionality that is friendly and useful for them to add on their additional products, businesses in future. Without a programming knowledge needed.